Lundee Amos, Ed.D. is our Research and Invitational Education Specialist. She developed the Invitational Teaching Survey (ITS) for community college students and the framework for the Invitational Teaching Survey (ITS) included in the Grow with Guidance System. Lundee supports research with the ITS and other Grow With Guidance System assessments for accountability efforts and implementing invitational education in all levels of education. Lundee was a Dental Hygiene Teacher and Administrator at Guilford Technical Community College in North Carolina before she became Dean of a satellite campus and then Director of Faculty/Staff Development. In retirement, she provides Laughter Programs for Community groups, provides Healing Touch / Energy Medicine sessions in clinics at a United Methodist Home and a Methodist Church, and works with 5th grade clownettes at a local elementary school. 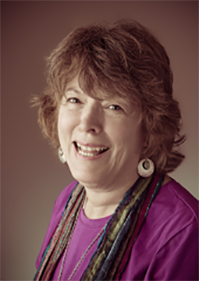 She has a private practice in her home and teaches Healing Touch and Energy Medicine at the community college. Lundee serves on a community board and is a member of Delta Kappa Gamma (International Honor Society of Women Educators.) She continues her life long journey to help people improve their lives personally and professionally. She always continues to be a life long learner.